Matthew Ho is a Grade 11 student at St. Theresa of Lisieux Catholic High School in Richmond Hill, who strives for the best and participates extensively in his school community. Matthew competes on his school’s rugby 15’s team and volleyball team and participates on DECA, HOSA, and Student Council. He was the president and co-founder of his school’s 2018 Relay for Life Committee which helped to raise $135,000 for the Canadian Cancer Society. 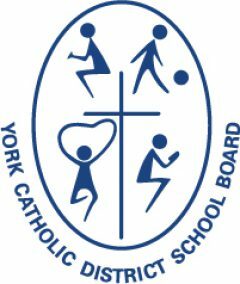 In April 2018, Matthew was elected as the Junior Student Trustee for the York Catholic District School Board. As a Student Trustee, he connects with students across the Board so he can represent their voices at the Board level. He also reaches out to school communities to see what improvements can be achieved for YCDSB’s students. Outside of school, Matthew is a member of the 360Kids Youth Ambassador Committee, and was a camp counsellor and soccer head coach during the summer. He continuously strives to make change within his community and actively participates in local fundraisers and events. Over the March Break of 2018, I embarked on a missionary journey to the town of La Fortuna, Costa Rica. The mission was to give back to the global community, while observing how different educational systems of the world affect the growth of students in their unique, everyday lives. By volunteering in the Costa Rican schools and orphanages, I realized that no matter how or where it is given, education isn’t just about the subjects, the grades, or the socializing – it’s about community building so students can learn character, a place where students can express relevant thoughts and perspectives, and education encourages students to be the change-making learners that the world needs them to be. It is for this reason that I encourage all of you to thrive in your school communities. Each and every person has a universal responsibility to make this world a better place, and your lifelong journey to improving the world starts here at the YCDSB. So get involved in extracurricular and academic experiences, speak up against the problems that need improvement, and be the voice that the world needs you to be. In saying so, your voice is what makes my position so vital to our school community as your student body representative. Your opinions matter to me and to everyone else that has yet to hear from it, so if you have any concerns or opinions and would like them to be considered please do not hesitate to contact me. I am always ready to listen and will stand by you, along with my statement of “No voice will go unheard.” And I assure you, that with passion and teamwork, we can become the change of tomorrow that the world needs us to be.